Get notified when Seth Meyers tickets are available! 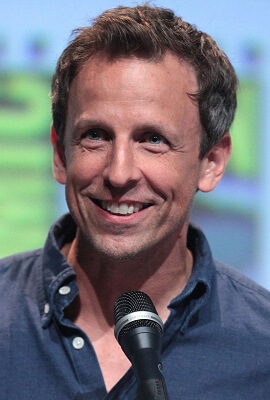 Seth Meyers is an American actor and comedian who began his career as a stand-up comic. In 2001, he gained fame as the head writer for Saturday Night Live and appeared on the weekly Weekend Update segment. In 2014, he took over as the host of the Late Night show, which was previously hosted by David Letterman, Conan O’Brien and Jimmy Fallon. Whether you want to get Seth Meyers tickets to be at a taping of Late Night with Seth Meyers or want to attend a comedy show that he is headlining, you can use the links above to get Seth Meyers tickets.